As a seminar project, ethnology students at LMU took a plunge into the archives of Munich’s Five Continents Museum. They emerged with fascinating ethnographic photos – and findings that place their subjects in historical context. To understand the content of a photograph, one must understand the context in which it was taken. 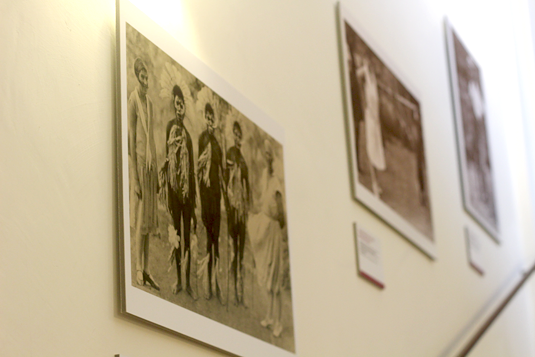 Nine students of Ethnology at LMU have had the opportunity to delve into the archives of the Fünf Kontinente museum in Munich – and selected historical photographs taken in the field by ethnologists, explorers and colonial administrators, or in commercial studios between 1862 and 1956. Many of these images can be quite disconcerting to us today, and they raise lots of questions. In the course of a seminar project, the students who chose the images set out to research their backgrounds and dug up some intriguing stories. 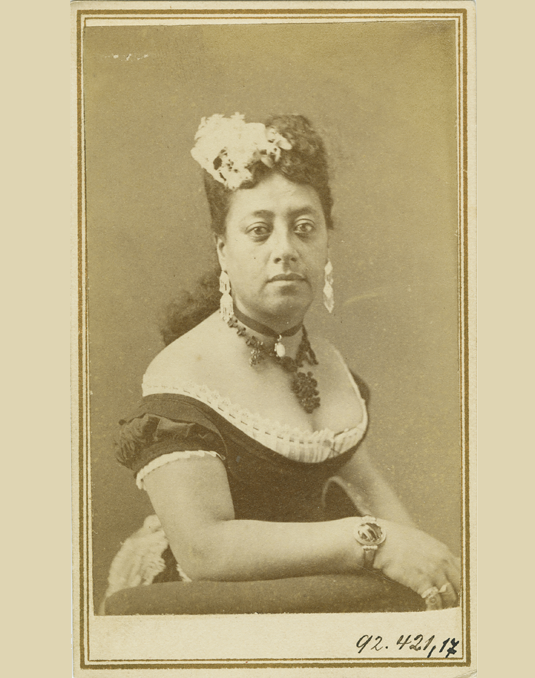 Queen Emma was a member of the Hawaiian aristocracy, and was brought up by her aunt, who had married an Englishman. In 1856 Emma married King Kamehameha IV. However, throughout her life as Queen, she was subjected to biting criticism from other members of the royal household because one of her grandfathers was also English. Silke Tauber, who lived in Hawaii after graduating from high school and has spent time there during her studies, has this to say about the image: “I find this photo particularly interesting because nothing about it conforms to the usual Hawaiian stereotypes – natives in grass skirts proffering garlands of flowers. It is in fact an example of the photographs that were customarily used as visiting cards at that time, showing Queen Emma, a royal personage, dressed in the Western style.” Pictures like this were subsequently acquired by many European collectors. In accordance with legislation passed in 1959, when Hawaii became the 50th state of the US, the population is still being officially classified into ethnic groups. 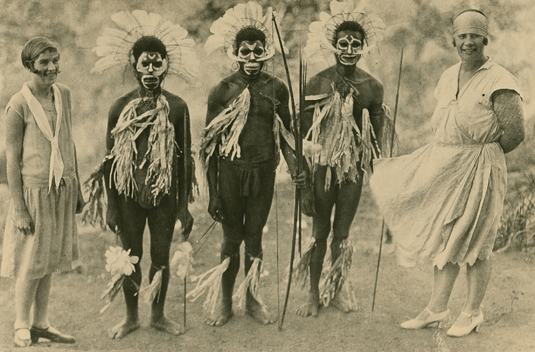 Silvia Lamprecht researched the context in which this photo, taken in what was then British New Guinea, was made. It depicts three aboriginal inhabitants of the island, who are flanked by two Europeans in summer dresses. But that is not all the photo has to say. Silvia discovered that it was probably taken on the occasion of a theatrical performance. The bourgeoisie in Europe was fascinated by such exotic images, which of course further increased demand. Alena’s research revealed that, in all probability, the photos were marketed commercially without the knowledge or permission of their subjects. The idea of a copyright in photos was still unknown. Johannes Bächer set out to find souvenir photographs from 19th-century Japan in the Museum’s archives. Toward the end of the century, the Land of the Rising Sun was regarded in the West as an unspoiled paradise and became one of the period’s most enchanting ‘faraway places’. “Contemporary photographers were only too happy to confirm this perception,” says Johannes. 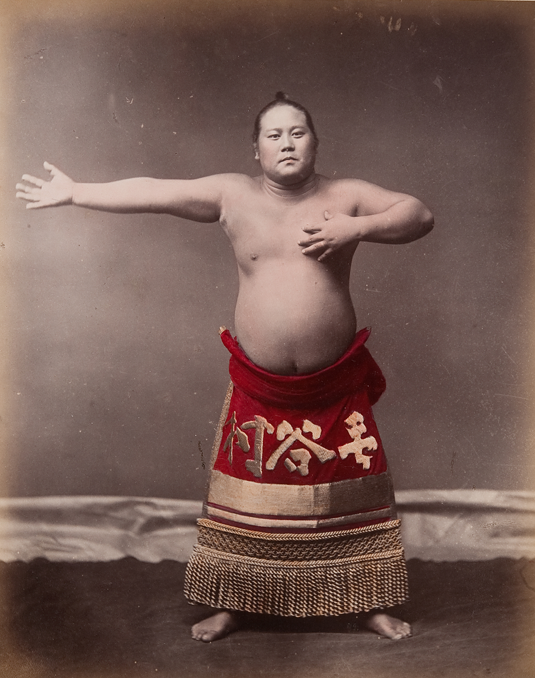 “As clever businessmen, they focused on samurais and geishas as ideal motifs that corresponded to the conventional clichés.” Sumo wrestlers were another favorite subject. And the sumôtori shown here is an undeniably imposing figure, and is still capable of holding the attention of the modern viewer. For the practical/seminar in “Ethnographic Imagery and its (Re-)Presentation in Museums”, the collaboration with the Museum Fünf Kontinente – formerly the State Museum of Ethnology – proved to be a very happy one, as it enabled the students to transfer their theoretical knowledge directly into practice. “The seminar was designed to combine theoretical engagement with ethnographic photography with research on hitherto neglected materials, and the practical presentation of the results in an exhibition,” explains lecturer Anka Krämer de Huerta, who led the seminar together with Paul Hempel. “Writing texts for exhibitions is a very good way of learning how to express scientifically correct statements in language that is readily understandable to the general public and is entertaining to read.“ and the young creators of this exhibition have certainly met these demanding criteria. The exhibition “Fragende Blicke” is on view until 30. June 2019 in the Museum Fünf Kontinente (Maximilianstr. 42, Munich).